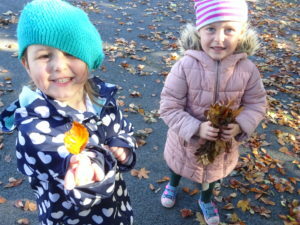 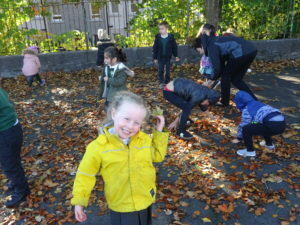 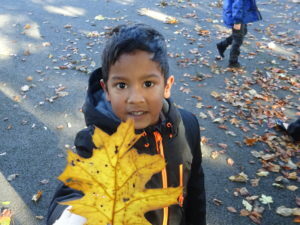 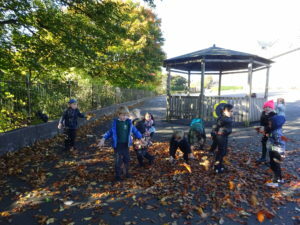 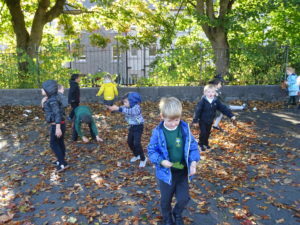 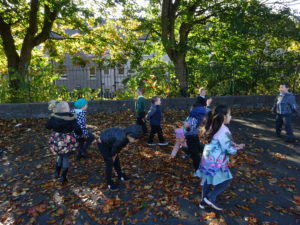 The children were out exploring the leaves that had fallen in the playground. 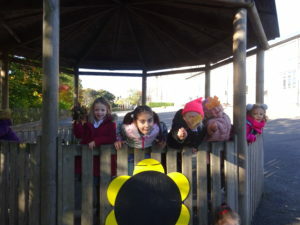 We had lots of fun throwing them up in the air. 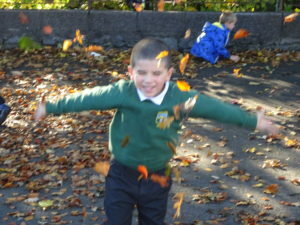 Back in the class we used this as a stimulus for our writing. 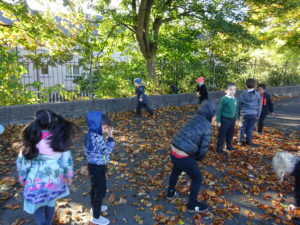 Later in the day we went back outside to look more closely at the colours of the leaves that had fallen. 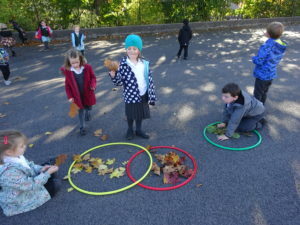 We sorted them into red, yellow and green hoops. 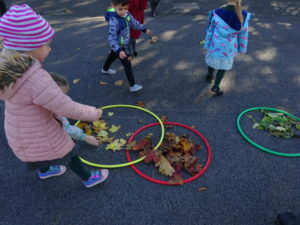 A few children had found orange ones but we didn’t have a hoop for them . 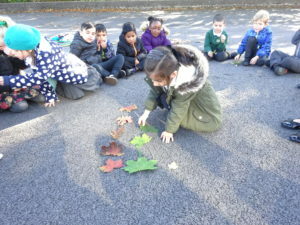 They were asked which colours we mix to make orange. 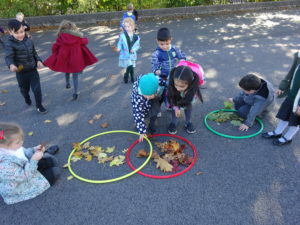 Someone said yellow and red so we put those hoops together and the orange leaves were put in the middle. 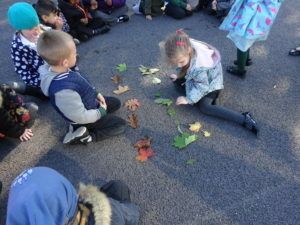 We made a graph with our favourite colour of leaf but it was a bit windy so it made this tricky to do as the leaves kept blowing away!